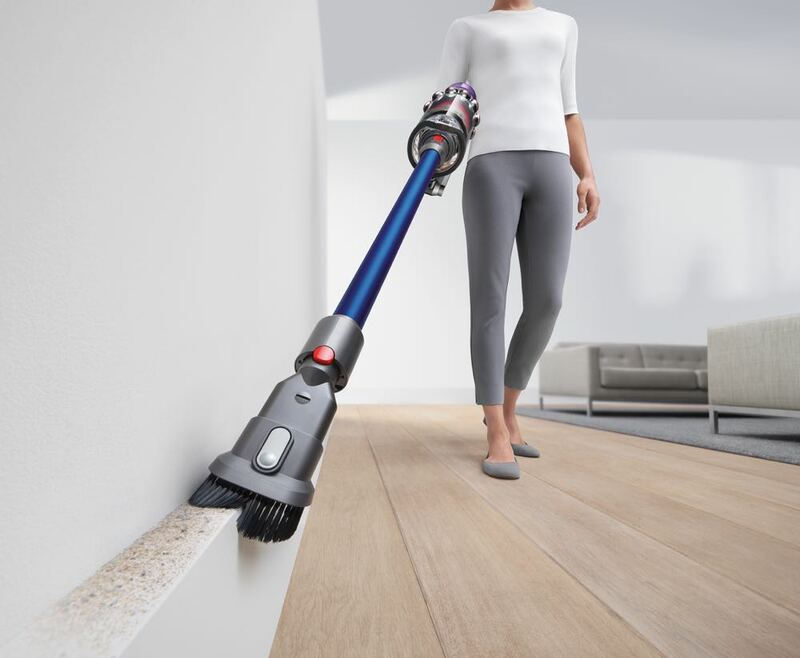 Dyson has launched its all-new V11 cord free vacuum which boasts the most powerful suction of any cord free vacuum in the market. 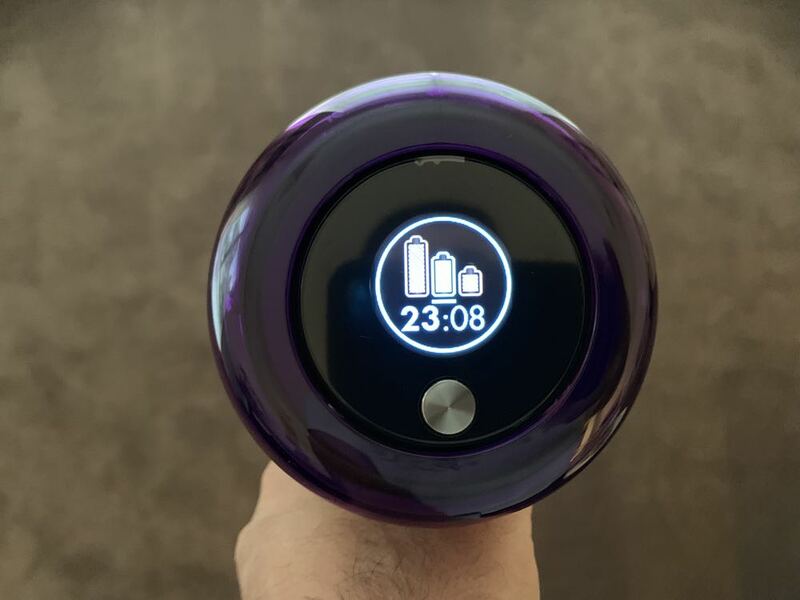 It’s even 20 per cent more powerful than last year’s Dyson Cyclone V10. 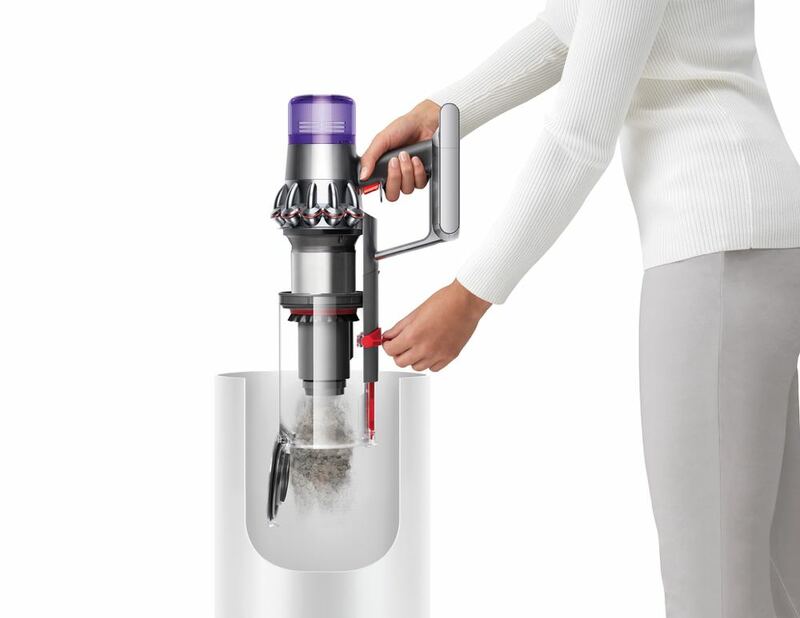 With the V11, Dyson has once again raised the bar and created a new machine that blends design, technology and performance into a single unit. 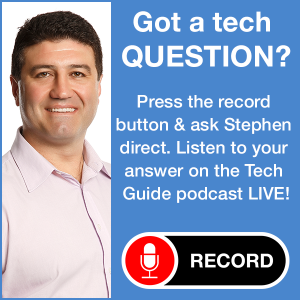 There are improvements across the board and Tech Guide was lucky enough to get our hands on the V11 ahead of its release. 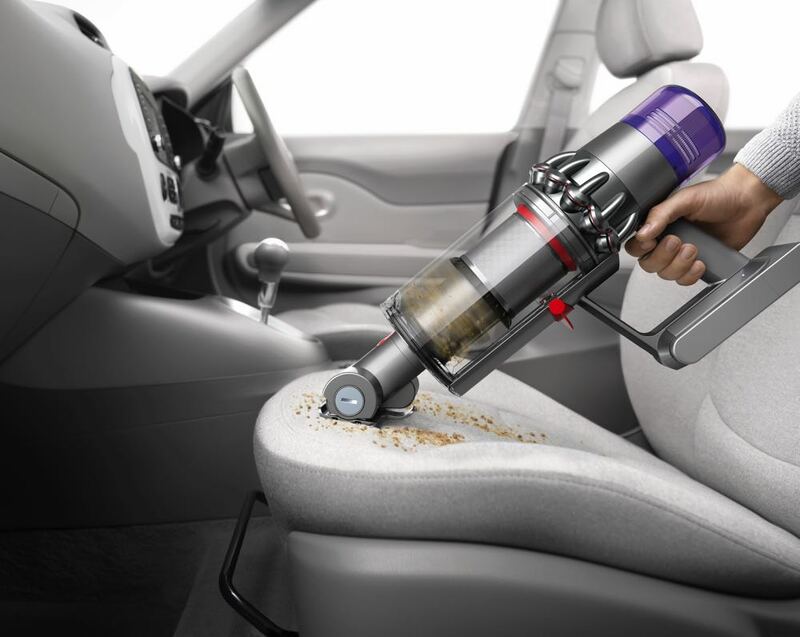 Dyson says the V11 is the culmination of more than a decade of cord free vacuum and digital motor development which involved 315 engineers and more than 32,500 parts prototyped. Design-wise, there are a few subtle differences between the V11 and the V10. Most of the changes are in the main motor and bin section. For a start, there is now a digital display instead of a slider switch which displays the current mode and the remaining runtime of the battery. 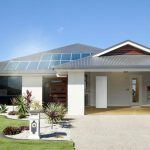 Users can easily switch between modes – Auto, Eco and Boost – and also see the remaining runtime change as well. 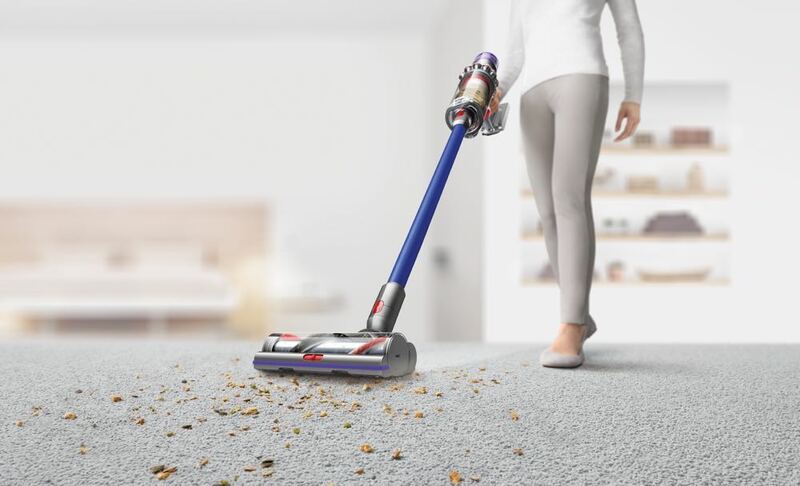 Eco mode provides up to 60 minutes of cleaning time while Auto mode, which can detect movement between carpet and hard floors, offers slightly less. 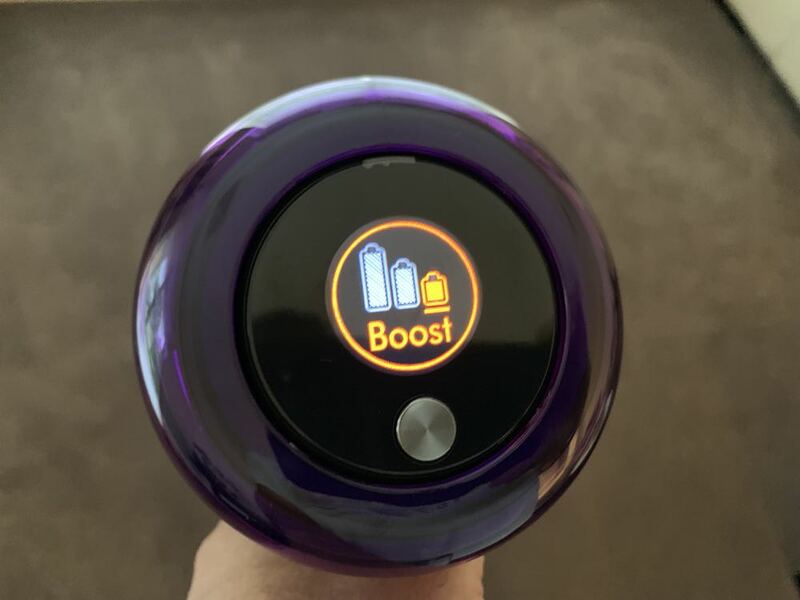 Boost mode, the old Max mode, is the most intense which gave us about 13 minutes of performance before we needed to charge it again. The screen can also remind you to clean the filters and also pinpoints any blockages and how to clear them. There are three microprocessors under the hood that adds a new level of intelligence to the V11. The unit is smart enough to monitor the performance up to 8000 times per second. 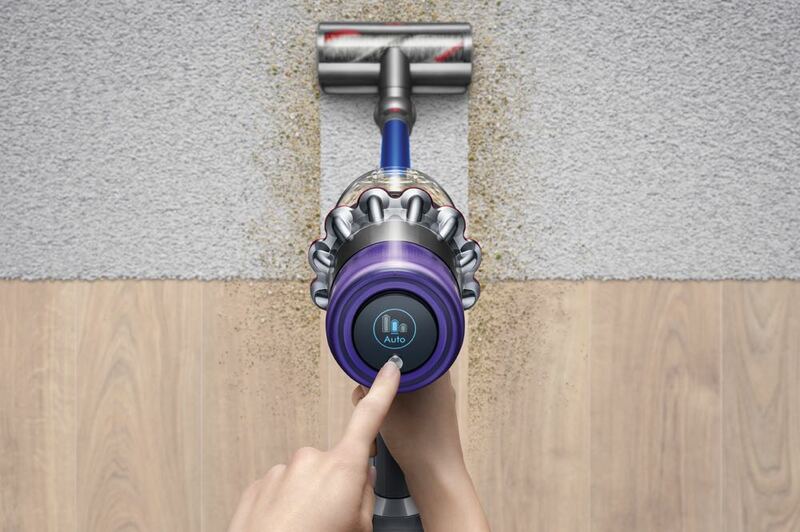 The Dyson V11 features a new High Torque cleaner head which also now includes a Dynamic Load Sensor (DLS) that can detect brush bar resistance at up to 360 times a second and can relay that information to the motor and battery to optimise the performance and provide the longest possible runtime. The cleaner head has its own digital motor that spins the brush bar up to 60 times a second. 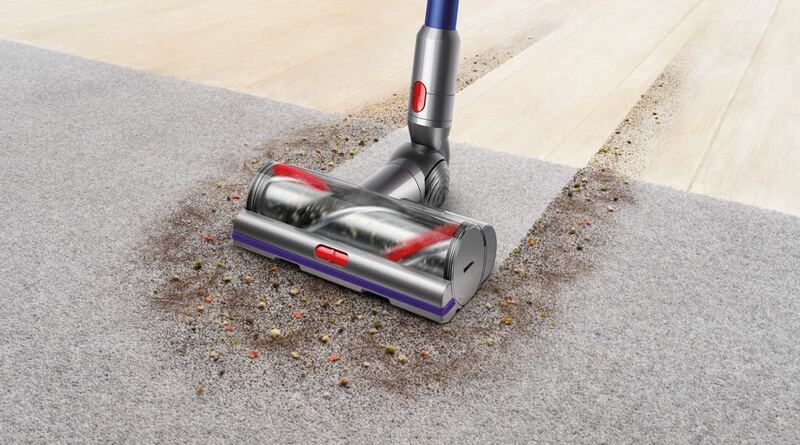 In Auto mode, the V11 can detect the shift from carpet to hard floors and change the suction power accordingly. You can hear the difference when you shift between floor surfaces. 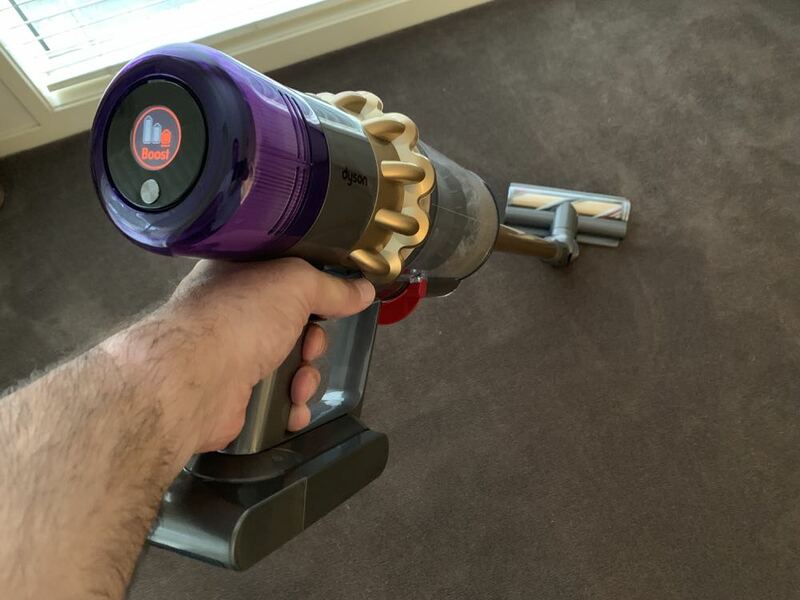 On carpet, the motor revs a little faster while on hard floors, the motor backs off a little while still achieving the same level of suction. 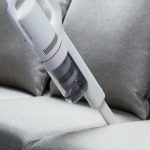 There is also a soft roller cleaner head that is designed especially for hard floors that can pick up fine dust and large debris at the same time. 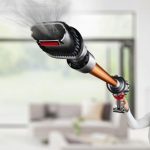 Another included mini motorised tool comes in handy if you have pets and can pick up hair and ground in dirt from furniture and other tight spaces including stairs or in the car. 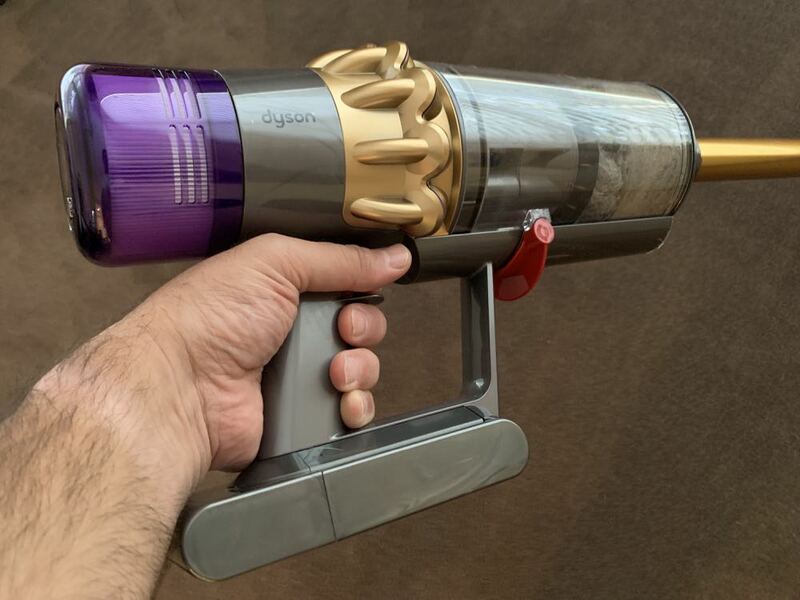 The Dyson V11 has a more powerful battery pack with seven larger high capacity cells with nickel-cobalt-aluminium cathodes that combine to deliver more suction power. Over time the system learns how the owner uses the machine through an algorithm which helps provide the most accurate runtime. The V11 digital motor spins at up to 125,000 rpm and uses a triple diffuser. 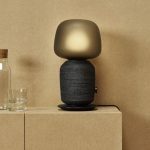 The first two diffusers straighten airflow and reduce turbulence to increase suction while the third works to reduce noise and improve acoustics,. We noticed the V11 was a little quieter than V10. The impeller blade profile has also been redesigned and now forms an S shape to match the shape of the shroud where the impeller rests. This reduces air leakage and increases efficiency which adds up to 20 per cent more suction than the V10. We can attest to the increased suction when we tried the V11 for ourselves on our carpet at home. With two rather large Dalmatians and chocolate-coloured carpet it’s not hard to see numerous short white hairs wherever our dogs sit inside the house. Even after only vacuuming half the room, the suction was so good it already filled a quarter of the bin. 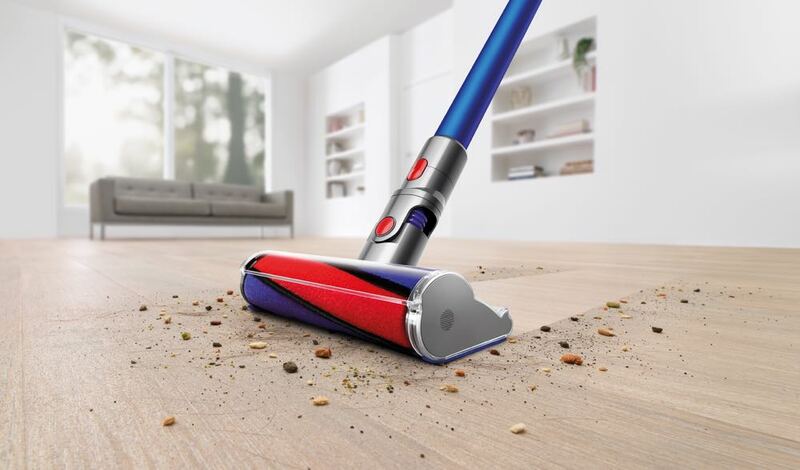 Dyson knows that vacuuming moves a lot of air around and can affect your wellbeing if dust and allergens are floating about. 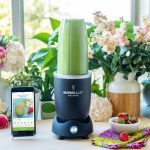 The V11 has a fully sealed filtration system that captures 99.97 per cent of all particles that are a smaller 0.3 microns while only expelling cleaner air. Microscopic particles like pollen and bacteria don’t stand a chance thanks to the 14 cyclones that generate forces of more than 79,000g that shift these particles into the bin. Speaking of the bin, it is 40 per cent larger when compared to the Dyson V8 which means more time cleaning and less time emptying of full bin. And having no cord also offers freedom to easily move about your home and switch between stick mode and handheld mode. 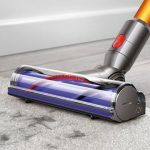 It’s hard to believe how Dyson managed to improve an already excellent with the V10 and deliver an amazing update with the V11. 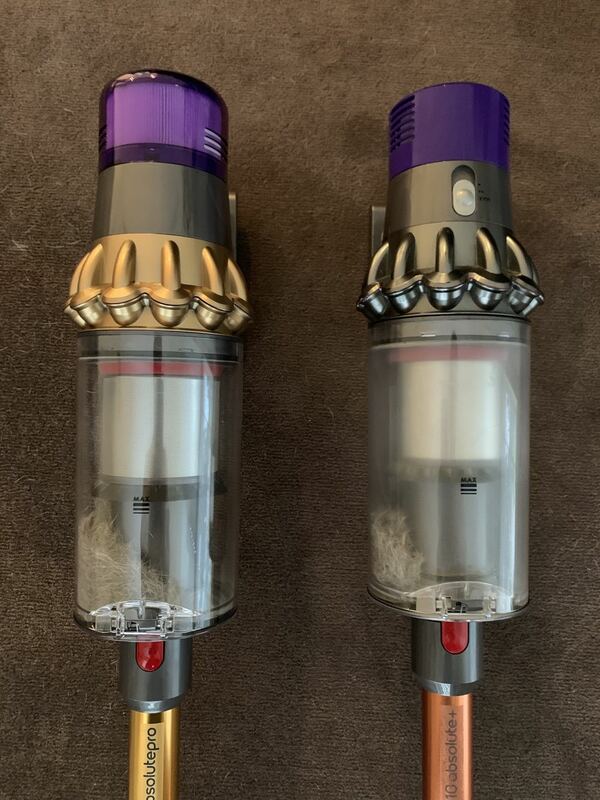 The Dyson V11 vacuum is available now in three variants and starts from $1,099 for the V11 Torque Drive, $1,199 for the Dyson Absolute which has an extra cleaner head for hard floors and $1,249 for the V11 Absolute Pro which includes the hard floor cleaner head and extra tools for total home cleaning..